We get it; things are a little more challenging in the "new normal." Consumers aren't lined up at the door like they were leading up to the 2016 election. The demand isn't what it use to be, or is it? Maybe retailers in the shooting sports industry just need to step their game up. But how? Marketing in this industry can be a challenge in itself. The media isn't always our friend and the population seems very divided. So what can retailers do to take their marketing to the next level? Here are a few marketing ideas to keep your audience engaged in the new normal. Knowing who to communicate with can be half the battle in marketing. Luckily, the internet is your friend, especially social media. Platforms like Facebook and Instagram provide great outlets to target, grow and engage your audience. Utilizing advertising tools like Facebook Ads Manager will allow you to develop campaigns and target audiences that are most likely to be interested in what you have to sell. Users can be targeted by age, location, and interest allow you to dial in the people you want to reach and eliminating those who aren't interested. By using Facebook Ads Manager, you can leverage both Facebook and Instagram to promote and share your content. 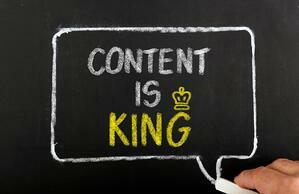 When it comes to digital marketing, content is king! Those who are creating high quality, relevant content, are driving traffic, improving social engagement, and helping to expand their brand. If you want to engage your audience, write blogs and creative short videos. Utilize your staff's knowledge of products and the industry to share out there on your social platforms and search engines. Product reviews, tips, and tricks, product comparisons, anything that your audience will find helpful can go a long way. Not only does this content build engagement and drive traffic, but it also helps build trust. If your audience continually sees new videos with your top sales guy sharing his insight and opinions on products, they will be more likely to walk through your door looking for that expertise when they are ready to buy. However, content creation cannot be a one and done strategy. It needs to be consistent and regular. Once a week or twice a month is a great place to start. If you have people in your area searching the internet for product information, wouldn't you like to get in front of them? Search Engine Marketing (SEM) or as many refer to it Pay-Per-Click (PPC) is a great way to target keywords that people commonly search to drive more traffic to your website. 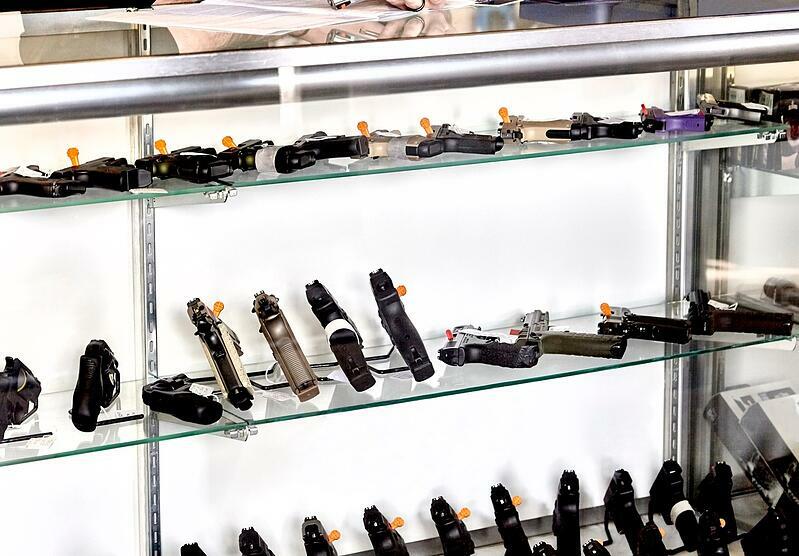 If you have a great selection of Glock pistols, then use PPC to target anyone searching for Glocks in your town. Make sure they find your website as the answer to their query. The majority of consumers are spending time researching purchases online before walking through the door of a retail location, so reach them before they even leave their house. Search Engines like Google, Yahoo, and Bing each have PPC advertising platforms to manage your campaigns and budgets don't have to be extensive to see results. Give it a try. Now let's be clear, we aren't suggesting that you have to sell firearms online, that obviously has significant challenges, but your website can be an excellent resource for people to find information about the products you sell. Previously we mentioned creating content, and that content needs a place to live, that location is your website. 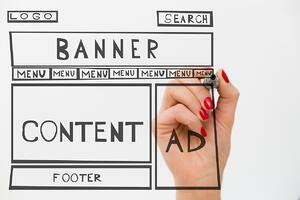 Your website should be the central hub that all marketing leads to. Videos, blogs, product reviews, product descriptions should all be hosted on your website, in a well organized, easy to find structure. Not only should your website be well organized, but it should also look great. In life, you only get one shot at first impressions, and the internet is no different. In fact, attention spans on the internet are very short and if users can't find what they are looking for or the site isn't visually impressive, you will lose them in a matter of seconds. So take the time and do it right, this may, after all, be the very first impression anyone has of your business. As the industry has changed over the years, so has the strategy to engage potential customers. Digital marketing is more important than ever, especially with the rise of online retail. If you want to compete for that top of mind awareness, you need to reach your audience at all levels. We hope these tips help you change the way you think about marketing in what the industry is calling the "New Normal." For more marketing tips and ideas, contact your NASGW Wholesale partners.